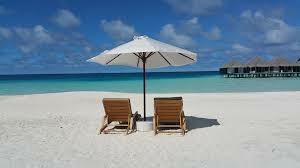 1 Maldives: A heaven for a relaxing peaceful vacation. Maldives: A heaven for a relaxing peaceful vacation. The Maldives is officially the Republic of Maldives, is a South Asian country which is situated in the Indian Ocean, and located in the Arabian Sea. It is situated in the Southwest of Sri Lanka. Known for its beaches, blue lagoons and extensive reefs, Maldives is made up of more than 1,000 coral islands located in the magnificent Indian Ocean. With luxury resorts, extensive tropical beaches, and water sports, Maldives is a must visit place for any traveling enthusiast. The best part about it is its budget friendliness. With a busy, always on the go hectic schedule, you might have always dreamt of a peaceful relaxing vacation which soothes you in and out. A destination which is far from the hassles of metropolitan life amidst the beauty of nature. If you are looking for such a destination for your upcoming vacation, then you must consider a trip to the Maldives islands. 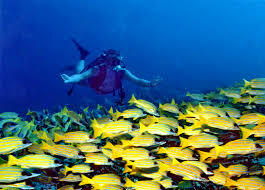 Let’s see what all are the places to visit in the Maldives, to make the trip more memorable and exciting. 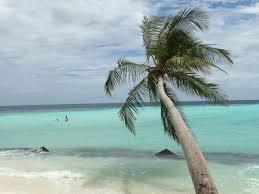 Male is the capital and is one of the top places to visit. A city with local markets and a busy lifestyle, Male is not to be missed when you are planning a Maldives holiday. Apart from its busy streets, Male has fascinating sights amidst its busy hustling streets, making it one of its own kind. The 17th Century Friday Mosque and the Gold-tipped Islamic Centre is must for sightseeing, especially if you are keen for traditional architecture. Male market is another place you must visit while here. 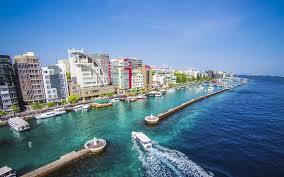 Another emerging urban yet beautiful city across the turquoise waters of Male, this is charming, must visit place. 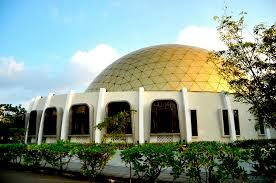 It has a glass top mosque which is a magnificent sightseeing spot in the Hulhumale island. Its artificial beach is not to be missed for sure. Though Maafushi Island might not have the most luxurious resorts, for sure it has one of the most charming beaches stays for budget travelers. So if you want to explore the beauty of Maldives in your budget, then Maafushi Island is a must go place which offers accommodations within your budget. Not just by its beautiful white sand beaches amidst the turquoise clear sea, but also due to its historical significance, Utheemu island is not to be missed. It is the northernmost of the Maldives islands where once Sultan Mohamed Thakurufaanu who drove Portuguese out resided in his beautiful timber built palace. Amidst its beautiful beaches and sparkling sea with the most romantic sunrise and sunset, Veligandu island makes it a perfect place for Honeymoon, ranking it in one among the best honeymoon destinations in the world. Its luxurious resorts, sea facing villas and beautiful landscape set it apart, making it a must visit place. It is one of the most favorite tourist spots in the Maldives, which offers luxury cabanas, with the white sand pristine beach and some really cool scuba diving spots. It has jackfish, morays, and eels with higher visibility and even offers night diving packages for the scuba diving enthusiasts, making it popular among the top places for Instagrammers. One of the most advanced places for scuba diving and snorkeling in Maldives, Kuredu island is much celebrated for its water sports especially due to its high waves and strong currents. If you are looking forward to a luxurious romantic getaway in the Maldives, then Kunfunadhoo Island is the place you should head to. With thatched timber huts, cocktail decks, beachside candlelight dinners, and magnificent infinite pools Kunfunadhoo island is best honeymoon destination. With these amazing places in the Maldives, it is no doubt why it is one of the most sought-after travel destinations and romantic getaways for the honeymoon. It is important to visit a place in the best time to make the maximum out of your trip. So if you are planning a Maldives holiday trip, then you must know the best time to visit. It is sunny and hot all year round. The average temperature ranges between 23℃ to 31℃. You can get 30 days on arrival Visa in Maldives as an Indian national with due valid return tickets and a valid passport. Male is the major international airport in which connects it to the rest of the world. It is well connected with international flights to Male. And while here, you can easily hire an air taxi to reach your resort from Male. If you want to travel in the budget then there are public ferries and boats available too. Even private yachts are available to reach resorts from Male. If you are planning your trip to the Maldives in sometime soon, contact us and we shall help you plan a customized trip.